CDA Blog > The Heat is On! 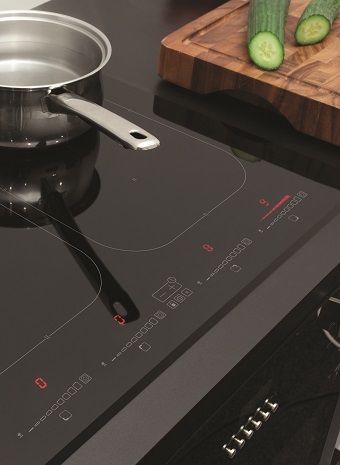 In July’s edition of Essential Kitchens, Bathrooms, Bedrooms magazine, the hn9840 turns up the heat on both style and function in their induction hob feature… The hn9840fr flexizone, 90cm, induction hob has an electronic touch control panel and 9 power levels. This hob offers variable cooking options such as melt, keep warm, simmer and pause for any cooking interruptions. The hn9840fr has a flexi zone feature, which enables the left, centre or right zones to merge into one to accommodate large pans and a booster feature to reduce heating time. Other features include: small object detection, meaning that the heat does not turn on if a small object is present, and a child lock for safety.